We have Labradoodle puppies for sale in Greensboro North Carolina. We take pride in our miniature Australian Labradoodle and we have those puppies for sale. As a premier Australian Labradoodle Breeder our puppies and parents come from the two kennels that founded the breed in Tegan Park and Rutland Manor. Our dogs and puppies are the best quality because we genetically test the parents and we give a two year health guarantee for all puppies sold. 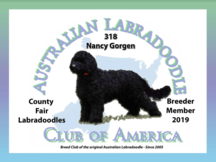 We challenge you to find another Labradoodle Breeder who breeds Mini Australian Labradoodles in North Carolina, South Carolina, Virginia, Georgia, New York, Tennesee, Kentucky or West Virginia. 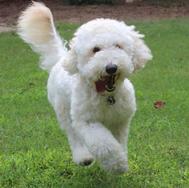 We raise our Labradoodle puppies for sale in the Piedmont Triad region of Greensboro. Puppy buyers come to us from all cities in the triad - Raleigh, Winston Salem, High Point, Greensboro, Reidsville, Danville, Sanford, Liberty, Oak Ridge, Stokesdale, Browns Summit, Monticello, and Pleasant Garden. We even have people come as far as Asheville, Asheborro, Mooresville, Charlotte, Carey, Durham, Pilot Mountain, Mount Airy and Boone. If you want to buy a Labradoodle puppy and you want to be sure those pups are the real deal, you should look at our puppies for sale - We have Labradoodles in standard size, medium size and miniature size. We have American Labradoodles, Goldendoodles, and Australian Labradoodles. Thank you for your business.